"Masterful... Many books have been written about Streisand but few, if any, put readers as close to the subject as Mann does" (Miami Herald). 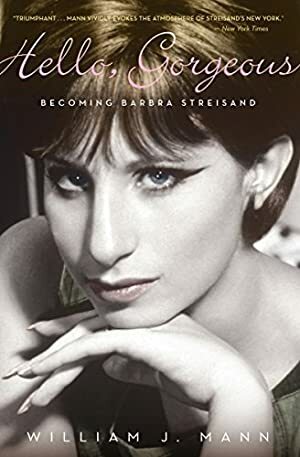 A legendary singer, songwriter, actress, and filmmaker with multiple Academy, Emmy, Grammy, Tony, and even two Peabody awards to her name, Barbara Streisand is a talent like no other. In Hello, Gorgeous, celebrity biographer William J. Mann profiles the Brooklyn-born talent, focusing on her early years, honing her persona at Greenwich Village nightclubs like the Blue Angel and the Bon Soir. Streisand lost her father at an early age and had a rocky relationship with her mother, but her natural abilities and supernatural chutzpah soon earned her the role of a lifetime: a starring role as Fanny Brice in the Broadway musical, Funny Girl. In lush detail, Mann chronicles Streisand's dizzying ascent from an unknown dreamer into one of the world's most beloved superstars. Log In to track William J. Mann on eReaderIQ. to be notified each time the price drops on any book by William J. Mann. to stop tracking William J. Mann. We started tracking this book on September 17, 2012. This book was $14.99 when we started tracking it. The price of this book has changed 82 times in the past 2,409 days. The current price of this book is $11.49 last checked 2 hours ago. The lowest price to date was $1.20 last reached on August 10, 2018. This book has been $1.20 one time since we started tracking it. The highest price to date was $17.99 last reached on May 4, 2018. We last verified the price of this book about 2 hours ago. At that time, the price was $11.49. This price is subject to change. The price displayed on the Amazon.com website at the time of purchase is the price you will pay for this book. Please confirm the price before making any purchases.